Hospitality Excellence means teamwork: your staff, your departments, your shifts, your leadership must work together to improve hotel service. If a single guest request spans across 2 to 3 departments, how can we guarantee collaboration to get the job done? ALICE Service Dispatch replaces your siloed systems with an easy-to-use task management system enabling your entire team to work together. In a cross-industry survey of 4,200 companies, conducted by the McKinsey Global Institute, 72% reported deploying cloud-based tools to facilitate employee productivity and communication (Source). Employees became 31% more likely to connect to coworkers with expertise and then meet job goals (Source). 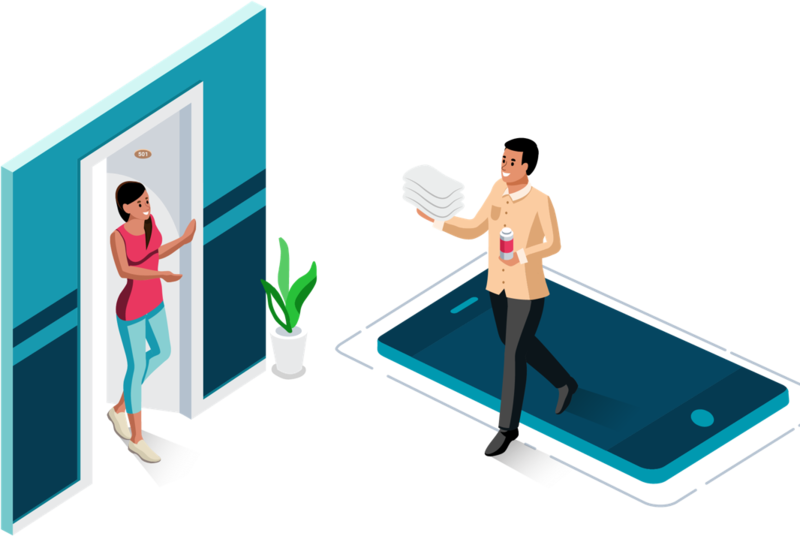 ALICE Service Delivery aligns teams with divergent purposes, staff structures, and physical locations to improve hotel service, guest satisfaction, and hotel success. Coordinate all staff on a single system. Dispatch requests on the go, seamlessly, to the right department. Ensure all requests are completed on time with alerts and escalations. Everybody is very happy to use it and finds it very intuitive to use. When all the employees of the hotel are aligned in the same system on the same platform, they are able to see what has been done and how the guest request is going across. That to me is the single most important aspect of ALICE that makes it a big differentiator in our industry." 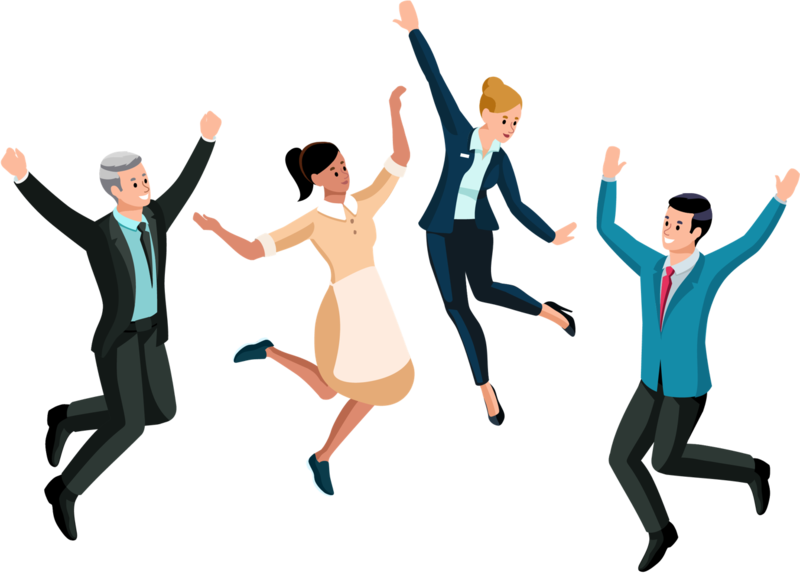 Happier teams, better work environment, less turnover. Know who is responsible for what. Give your management team a chance to analyze. Answer critical questions: how and where does your team spend its efforts, what isn’t being accomplished and what is being overworked? Our PMS integrations make ALICE work seamlessly with your reservations information. Integrate your PMS system with ALICE. Integrate ALICE with your preferred vendors. Contact us to learn more about custom integrations. Don't see your PMS? We can pull reservation information from almost every system. Get in touch to learn more. Our Customer Success team comes from hotels, so they know how to optimize ALICE to your needs. ALICE is 100% cloud-based, so implementing ALICE is easy. Your dedicated Customer Success manager will work with you to tailor your ALICE products to your hotel. 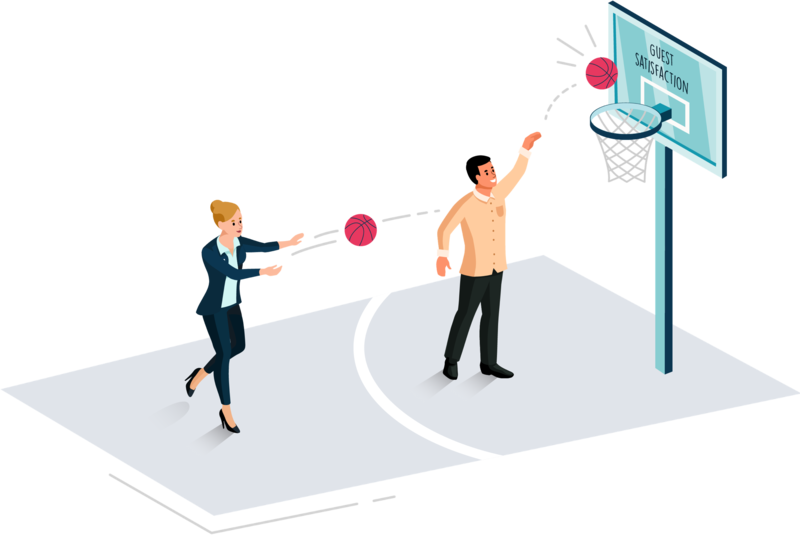 Typical implementation takes 1-3 days, during which time your Customer Success manager will come to your property to set up and train your staff. 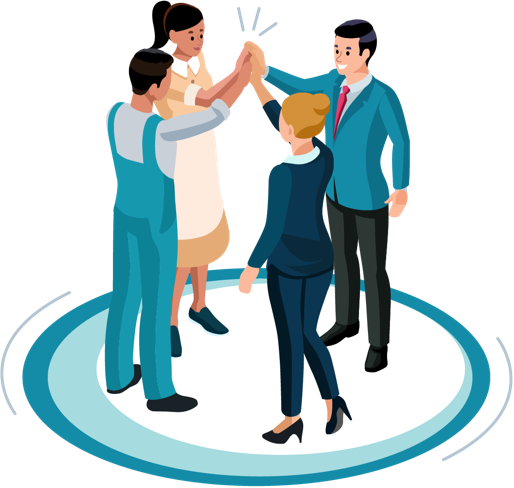 Your dedicated Customer Success team will continue to help customize your implementation, and provide support and guidance as your property changes and grows with ALICE. We pride ourselves on being the most responsive partner in the hospitality technology space. We work with you to make sure all requests are attended to in a timely manner. If your team misses a request we can escalate within ALICE and also notify members of your team outside of ALICE via text message, email, or phone. We’re always updating our Help Website. Your employees can easily access and search the help section for answers to FAQs and tutorials on new/advanced features. The Help Website is also a great tool for training new employees as your staff changes. Reports, dashboards, and tracking for every touch. Use our open API to integrate ALICE with your app, your website, your PMS, and more. Connect your hotel or brand guest app into ALICE for structured service requests and/or chat functionality. Allow any third-party device or provider to send requests directly into ALICE, including chatbots, Alexa, or other hospitality software products. We stay ahead of the technology curve so you can focus on providing exceptional service. ALICE is constantly innovating. We partner with clients to learn how ALICE can add more value. 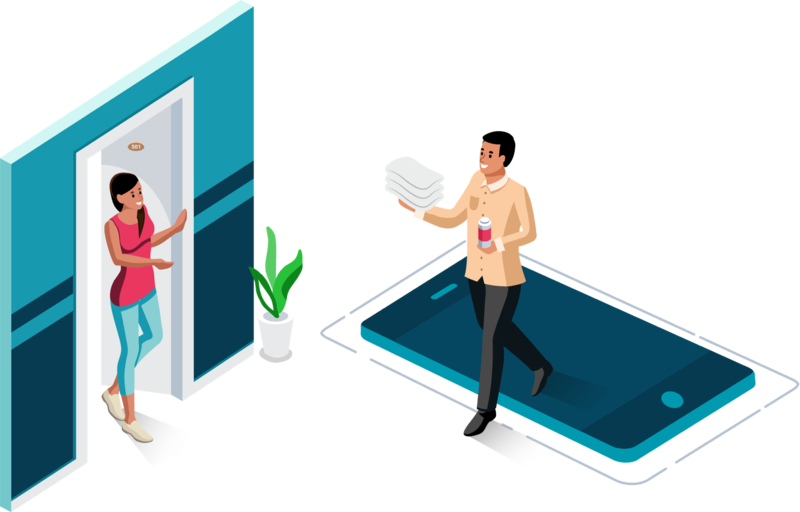 An easy-to-use request management tool to keep you and your concierge team organized so you can focus on exceeding your guests' expectations.